The hair dyer. Bane of your life or saviour? For myself, it's always been a love hate relationship. Mainly, I hate them and they love giving me excess drying times and frazzled hair. Having such thick, long hair means an eternity sat on the end of the bed, desperately reasoning with the stream of hot air to dry faster. I just have no patience, so for the past few years have mainly left my hair to fend for itself when it comes to drying. A quick pat with the towel and it's either up in a bun for slightly tousled waves the following day, or it's to sit there, slightly soggy and air drying until I can bear to do anything with it. 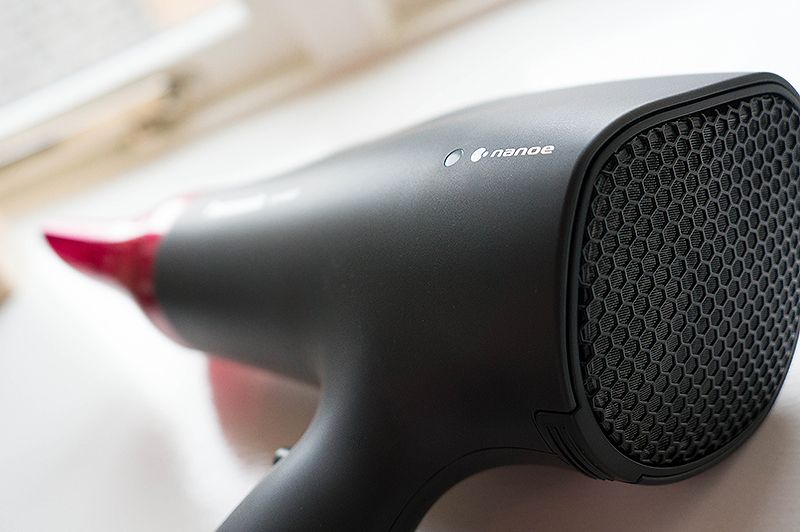 Enter the Panasonic Nanoe Dryer*. A thing of beauty and my new favourite toy! Okay, so it's not a toy, but for all the use I'm getting out of it, it might as well be. Already a massive hit in Asia, Panasonic hope to cash in on a very lucrative market with a first for Western consumers. It's easy to see why they chose this particular dry as their hero product. A powerful 2000 watts, and nanoe technology that packs a considerable punch. So what's nanoe? Unlike normal dryers that draw moisture out of the hair and leave it quite limp and also very dehydrated, the nano technology works to put moisture back into the hair and scalp, sorting out any dryness and giving you amazingly smooth and silky hair. I tend to suffer in the summer with an irritable scalp, so I've already seen results from a few uses. 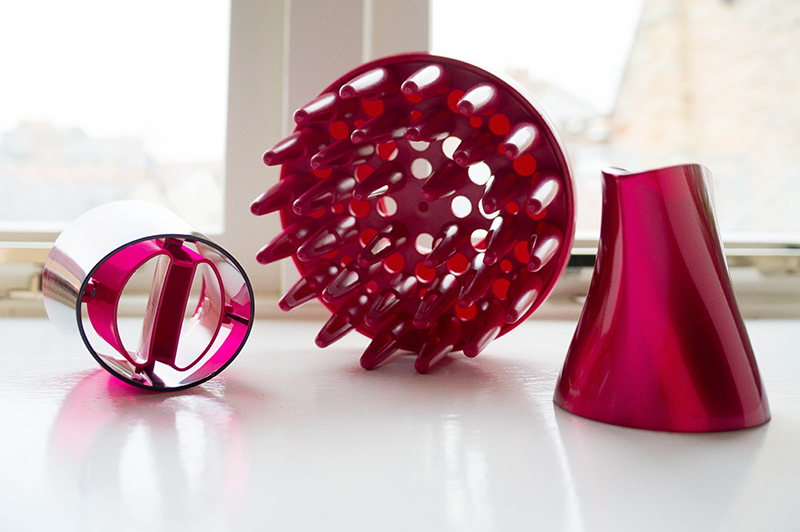 There are three attachments available with the hairdryer, a condenser, a diffuser and a quick dry nozzle. I've kept the quick dry nozzle on since opening it up and the time it takes to go from sopping wet to dry is half the time it takes with my other hairdryer. It manipulates the air flow and alternates strong and soft currents, really getting into the hair instead of blowing it in all directions. This also helps keep any fly aways in place! There are three speed and heat settings plus a cool shot button. The coolest heat setting has been heaven in this heat and worth picking up for that fact alone! It also has a fairly long power cord, which is the first thing I noticed other than the stunning pink on matte black. At £99.99 from Boots, it's not the cheapest out there but for the money you save on hair products, it all balances out. There were all sorts of oils and serums I'd throw on my hair afterwards, but now I take one quick feel of my tresses and know it doesn't need it. I'm actually proud of my hairdryer, it makes my hair look and, more importantly, feel amazing. Would you buy the new Panasonic Nanoe Dryer? What do you use? I love your curls video. ♥ It's changed the way I dry my hair! I'm terrible when it comes to heat styling my hair but this one sounds incredible! I would definitely like to try it because I've been using a really cheap Revlon one for years now. 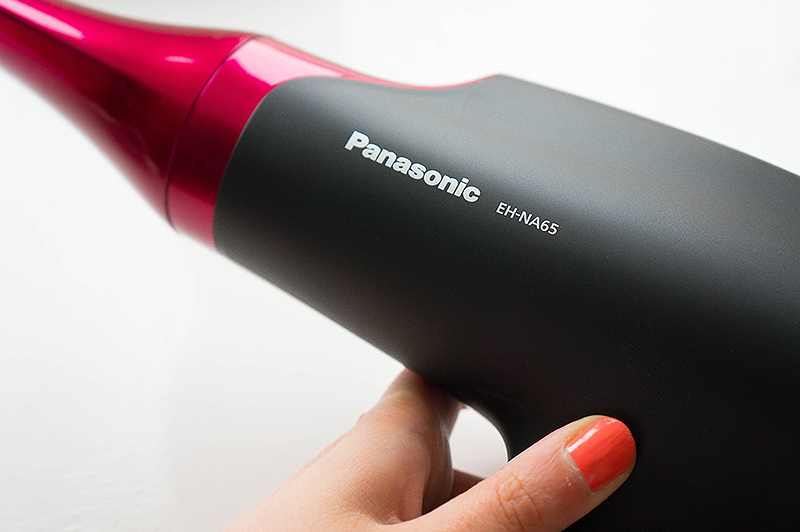 It's worth investing in, I was forever using my cheap travel unbranded hairdryer and this makes such a difference. I seriously need a new hair dryer before winter gets here! Thanks for the recommendation! I am using this Vidal Sassoon one http://www.boots.com/en/Vidal-Sassoon-Purple-Daily-Hydration-Hairdryer_1236086/ . I have no idea why it has such a low rating as it is great for my hair (very long but very thin). I would definitely give yours a try though, sounds brilliant as dry hair is the bane of my life! It's made my hair condition so much better. This paired with my John Frieda hair stuff is a dream come true! If you don't think level 1 on 30 day shred is hard at all, then I think it's okay to move up level 2 sooner =) But it's suppose to be 10 day on each level. Hehe, they have lots more over there, don't they? Sounds like a really good hair dryer. I don't usually see hairdryers as things I would gush about, but this has made me start wanting to dry my hair in the evenings. I agree! And, £99.99 is fairly standard with most of the hairdryers on the market. Why not get Panasonic and guarantee it'll be a good product? This sounds rather good :) I need a new hair-dryer but because I tend not to use them that much unless I'm going out I just use quite an old one still. I was the same. Had to jump at the chance for this one though. Nice not going to bed with my hair slightly damp anymore! My goodness if I had a lovely hairdyer like this i would be some much more likely to blow dry my hair, being a hairdresser having a good hairdryer is essential! It looks amazing! Hey! I really want this hairdryer now haha. Love this post :) I'm your newest follower! I've just started a new beauty blog and it would mean the world to me if you could check it out and let me know what you think. It's such a pain, isn't it? I think I've probably blow-dried my hair a grand total of 10 times over the last few years. I'm making up for it now! Your blog is wonderful. Maybe follow each other on bloglovin? That's great, what do you think about it? I feel you with that one! Haha. Such a strain on the arm when hair is long and thick. This is really light too, so ideal! It takes forever, doesn't it? Now with this, my hair is dry in a fraction of the time and I don't wake up with crazy, out of control hair! I really need a better blow dryer, honestly. My hair is thick and it takes forrrevers! It makes you wonder why you put up with hairdryers that take so long in he first place, right? I followed your blog, it's so nice! Hum, this may go on my X-mas list for the Mrs. Hers isn't quite as thick as yours, but she does have similar frizzing issues in certain areas. Overall, this just sounds like the logical next step in hair dryer tech - purposeful manipulation of the air instead of just straight up hot air blowing out of a cannon. i'm desperate to cut down my drying time, so this sounds amazing! It just gives you that extra few minutes to do something else rather than waste time. It's wonderful!